I figured I might do a topic like this, since I've seen plenty of them. This movie is a good one. I won't say it's a masterpiece like some would say, but it's definitely a blast to watch through. The characters are good(Especially Han Solo, that guy is f**king amazing), the plot is alright, the scenes with them flying trying to destroy the death star's core was awesome. If I had to rate it on a scale from 1 to 10, I would give it around 8. Surprising, considering I'm not a big fan of movies in general. But yes, Star Wars is good. Once you're done with the original trilogy, you can bother with the prequels, though watch the 2003 miniseres between Episodes II and III since it fills the gap and adds a lot more to the whole thing. This was a good movie, too. I think I might like it better than the one before it. I'd give it a rating of 8 too, because I'm indecisive. Also if I bother to watch the prequels, then I'll heed your advice. Yeah Episode V, better known by its subtitle, the Empire Strikes Back, is widely considered to be the best Star Wars movie, as well as one of the best fantasy/sci fi movies of all time, if not one of the best movies of all time for many critics. If you don't watch the prequels, at least watch the miniseries since Genndy Tartakovsky (creator of Samurai Jack, Dexter's Lab, SymBionic Titan, etc) made it, and is just as good as everything he's done. , but the time I watched the movie I came across it. Oops. Anyways, This movie is a blast, like the other two were. Darth Vader is rising up the ranks and is my favorite character alongside Han Solo. 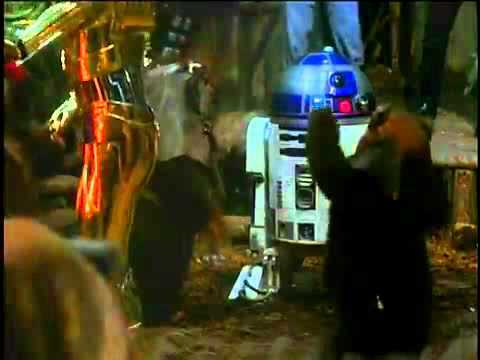 I lol'd at Boba Fett dying so quickly, The way the group overturned and killed Jabba was satisfying. Ewoks are kinda cool. I also loved how Vader came to choose his own son over power and killed the emperor, sacrificing his life for Luke. The ending was also awesome, I'm actually afraid to watch the sequels if I get to them because they could ruin this magical moment. I also was surprised to see Anakin's actor there, even though he was like a baby at that time. I looked it up and heard they used a footage of him in a re-release and I've seen the original scene. I have to say the scene with Hayden is better than Sebastian's though. What I didn't like about the movie is how Yoda died. It feels like a cop out tbh, in the last movie he's fine but when we see him again he's on his death-bed, like what? What happened? Did his age finally catch up with him, I mean, how long has it been since Star wars 5 happened? Any other way would have been better. Even then, that didn't really bother me alot. It doesn't make much sense to me though. Yeah, I'll be tackling the prequels at this point. However, I'm not sure when, because at this point, I want to take my mind off Star Wars and go see other things. In the event I watch the prequel, I'll heed your advice and see the miniseries. If it's made by the same mind behind Dexter Laboratory's, PPG, and Samurai Jack, surely it can't be bad. 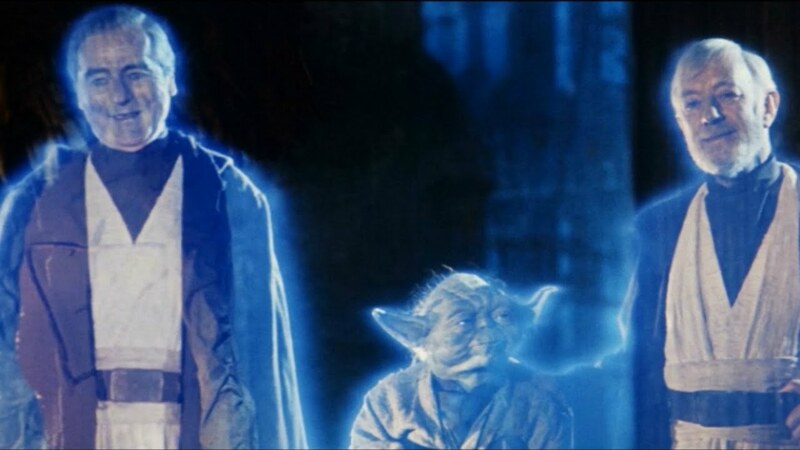 Yoda's death was caused by age. He was 900 years old. The movie doesn't tell you 'cause... Well... Episode VI repeats a few plot points here and there from Episode V.
It was kinda implied. But it's kind of silly that all of a sudden his age caught up to him. Like in the last movie, he was completely fine despite his age, but when we see him here, he's literally on his death-bed. It does make sense he died of his age, but they should have alluded to it when he was first introduced. One would think Yoda wouldn't die of age or something. I mean the ewoks didn't really annoy me. I found it kinda funny that they considered the golden robot as their god. What annoyed me a bit though, in all of the three movies, was Chewbacca when he keeps roaring. The guy's cool, and is in my top 5 list, but Jesus christ, can you shut the hell up for more than 5 minutes? I like his team with Han though. Actually, speaking of the ending song, it's one of the many alterations made to the original versions, so which one did you watch, the original or one of the remastered versions? The remastered one, with Hayden Christensen as Anakin. IMO I feel like it's better than the original one. Go watch the prequels now. Also, I'm proud of you for watching this. Decided to tackle the prequels, and done with the first ever (chronological) Star Wars I - The Phantom Menace. The characters were good, like Darth Maul and Qui Gon, but they still have yet to topple Darth Vader and Han Solo. However, I believe they had found themselves a nice place in my top ten list. The action was also pretty good, especially the pod race and Qui Gon/Obi Wan vs Maul. It feels weird seeing Anakin crush on Padmé despite her being older than him. Jar Jar Binks, well, I don't hate him as I thought I would, I'm kinda confused as to why he's hated tbh. Overall the movie is decent. It can stand out as a movie of if its own, but comparing it to the original trilogy, it falls short. Not gonna lie, I wouldn't have watched this hadn't I watched the original trilogy(As a matter of fact, it was the first star wars movie I "tried" to watch. Couldn't stand longer than 20 minutes) IMO this movie is only watchable once you go through the original trilogy, or somewhat have prior investment in Star Wars. I wouldn't recommend it to a beginner. Either way, I'll give it around a 7.2/10 or so. OK I've finished with the third movie and now I'm done with the prequels. Way better than the first movie, that's for sure. Obi-wan sure treats Anakin like crap, even if it was for his own good. Count Dooku is a good character. Jango did way more than his son did, even though one is exactly the same as the other. Also the big battle royal at the end is great. IMO The only movie who can rival the original trilogy and definitely the best of the bunch. I like it even better than 4. The fight scenes there were the peak, fights like Grievous vs Obi Wan, Windu vs Sidious, Sidious vs Yoda, Obi Wan vs Anakin...etc, and it was terrifying but exciting to see Anakin becoming Darth Vader. Grievous is one of the better prequel characters, methinks. Only downside to the movie is that you kinda need to watch the Star Wars Clone Wars cartoon to understand what's happening, but even then the cartoon is worth a watch, too. Oh, yay, Clone Wars time!